Head on over to Salty Springs to open Chests for this Season 5, Week 10 challenge. Just like weeks prior, a total of seven chests will need to be opened in order to complete the Week 10 challenge. 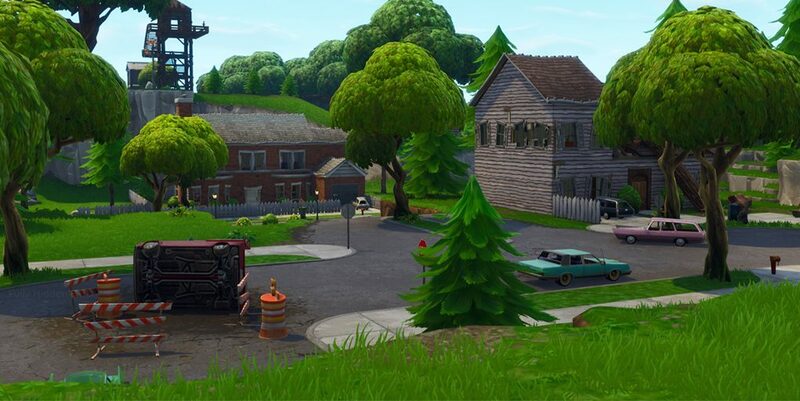 However, especially when a new slate of challenges goes live, it can be tricky to navigate an area with a massive amount of players dropping-in at the same time. With the help of the Fortnite Chests tool, we have included a map with all of the possible chest locations in Salty Springs. Although there is no guarantee that all of the chests will spawn at the same time in the same game, you should be able to come across a handful each game. It should be noted that in order for any challenge progress to be applied, a player must either die or secure a Victory Royale. Leaving the game early will not allow for a challenge to be counted. With very little time left in Season 5, players are urged to complete any remaining challenges and tiers before it comes to a close. A full list of all the Season 5, Week 10 challenges can be found right here.